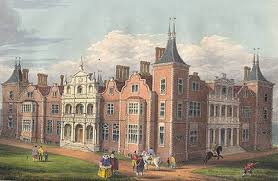 Ampthill has the unusual distinction of having what were two elegant mansions within a stone’s throw from each o ther. There are a number of reasons for this, but the main ones revolve around King James I and what is now known as the Greensand Ridge. Both houses had their hey-day in the 17th and 18th centuries. Having two noblemen so close together however led to various frictions especially with regard to the church! John has lived in Ampthill for 35 years and is one of the founder members of Ampthill History Forum established in 1999. He has always taken a keen interest in the quantity of history that Ampthill has to offer and says that for such a small town it punches well above its weight on royal and other visitors. John’s areas of interest include: The Great Houses, Ghosts of Ampthill, St Andrew’s Church and its graveyard. Ampthill Park, Ampthill in the Great War and its War Memorials and the pubs of Ampthill. He is currently Chairman of Ampthill Preservation Society. Tickets are available on the door or they may be reserved by telephone: 01234 718150, by email: info@fosterhillroadcemetery.co.uk; or register for event – see information on right.